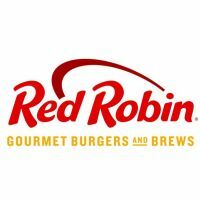 Red Robin is famous for serving more than two dozen craveable, high-quality burgers with Bottomless Steak Fries in a fun environment. In addition to our many burger offerings, Red Robin serves a wide variety of salads, soups, appetizers, entrees, desserts + signature beverages. Behind the bar we offer extensive selection of local and regional beers, and innovative adult beer shakes and cocktails.